1 Put the garlic and olive oil in a large pan and cook gently for a minute. Add the tomatoes, cover and simmer for 10 minutes, stirring occasionally until the tomatoes are really soft and concentrated. Add the tomato purée, 425ml water and season with salt and freshly ground black pepper. 2 Bring to the boil, then add the bread and stir until the bread absorbs the liquid. Cool slightly before stirring in the basil. 3 Blend until smooth in a food processor. Adjust the seasoning and serve with croutons and a drizzle more olive oil, if desired. 1 Heat a good drizzle of oil in a large pot. When shimmering add onions, carrot, celery and garlic and cook until wilted. Add bay leaf, thyme, parsley, fish stock, and canned tomatoes and bring to a simmer; cook for about 15 minutes until vegetables are soft. 2 Turn off heat and add oysters and oyster liquor. 3 Season to taste with salt and pepper and serve immediately. 1 Fill a large saucepan with cold water and place over high heat (this is for the pasta). 2 Pour olive oil in another large saucepan and turn the flame on low. Mince the garlic and add to olive oil, let cook until just starting to brown. Slice the onion and add to the garlic and olive oil. Add the anchovies to the pan and mash them until they disintegrate. 3 Next, add the vegetable stock and white wine. Turn the flame up to medium-low, and allow the stock and wine mixture to reduce for a couple minutes. 4 Take the head of cauliflower and peel away the green leaves. Cut off the stalks and discard. Chop the cauliflower crowns into bite-sized pieces, set aside. Add the chopped cauliflower to the onion/garlic mixture, and season with red pepper flakes, to taste. Reduce the heat back to medium, and let the cauliflower cook, stirring frequently. 5 Snap the asparagus in half and cut into bite size pieces on the diagonal. Add the asparagus and the peas and cook for about 5 minutes. When the asparagus is almost tender, add the tomatoes. The tomatoes should stay chunky, so do not cook too long, or stir the sauce too much because the tomatoes tend to fall apart. Add toasted almonds and season with salt and pepper, to taste. Remove from heat. 6 When the pasta water comes to a rolling boil, add some salt and then the pasta. Keep the heat on high. Cook pasta until firm to the bite, al dente. Drain and transfer pasta to a warm bowl. Sprinkle with olive oil, and gently toss. Then add the sauce and gently toss again. 7 Garnish with Parmesan or Romano and serve. Tomatoes, particularly when eaten as part of a Mediterranean-style diet, have an array of anti-ageing properties, new research in the UK reveals. The research has once again identified lycopene, a key nutrient in tomatoes and other red vegetables and fruits, as the principle source of the health benefits, after trials with a supplement. The supplement used in the study, brand name Ateronon, was shown to improve flexibility of blood vessels by up to 50%. Ateronon was shown to dramatically improve the function of the cells of the endothelium, the layer of cells lining the blood vessels, in the group of patients suffering from heart disease. The Mediterranean diet, in which large amounts of vegetables are eaten, allows populations in Southern Europe to live up to ten years longer than their Northern counterparts. The research team from Cambridge University has found that taking Ateronon, a newly developed version of lycopene, improves absorption into the blood to levels way above those naturally achieved by a Mediterranean diet. The scientists used Ateronon, a lycopene supplement, for the research and it was shown to improve flexibility of blood vessels by up to 50%. Not only that but lycopene will help revolutionise the treatment of heart disease and circulatory disease, the biggest causes of death and disease in Britain. Every year 180,000 people die from heart attacks and 49,000 from strokes, with medication for sufferers costing a further £2bn every year. The two-month study compared the effect of Ateronon on 36 patients with pre-existing heart disease, who were already taking cholesterol-lowering statin drugs, and 36 healthy volunteers. Both groups had an average age of 67 and comparable blood pressure readings, though those with heart disease already had noticeable blood vessel damage. Increasing blood lycopene levels boosted the endothelium’s sensitivity to nitric oxide, the gas that triggers the dilation of the blood vessels in response to exercise and demand for increased blood flow in healthy people. If the same results can be demonstrated in more patients, Ateronon could revolutionise the treatment of heart disease. In addition, if it is scientifically proven Ateronon does have an effect on endothelial function, then it could also have a beneficial effect on virtually every inflammatory disease process, including things like arthritis or diabetes, and even slow the development of cancer, which is also linked to inflammation. Ian Wilkinson, director of Cambridge University’s clinical trials unit, who was involved in the study, said the results suggested that Ateronon might slow down the worsening of symptoms in people already suffering from heart disease. If the results from the next round of trials are favorable, Ateronon could also offer an effective alternative to statin treatment for heart disease sufferers who cannot tolerate the cholesterol-lowering drug. Until now however, there has not been a way of improving the natural slow absorption of lycopene by the human body. Mediterranean populations have always enjoyed a protective effect against heart disease from their diet, and dozens of researchers have already suggested tomatoes may be the source of this protection, though until now, an explanation of the mechanism involved has remained elusive. ELIXIR had got together with organic skin beauty experts Trilogy to offer you the chance to win a bottle of its new Rosehip Oil Antioxidant+. 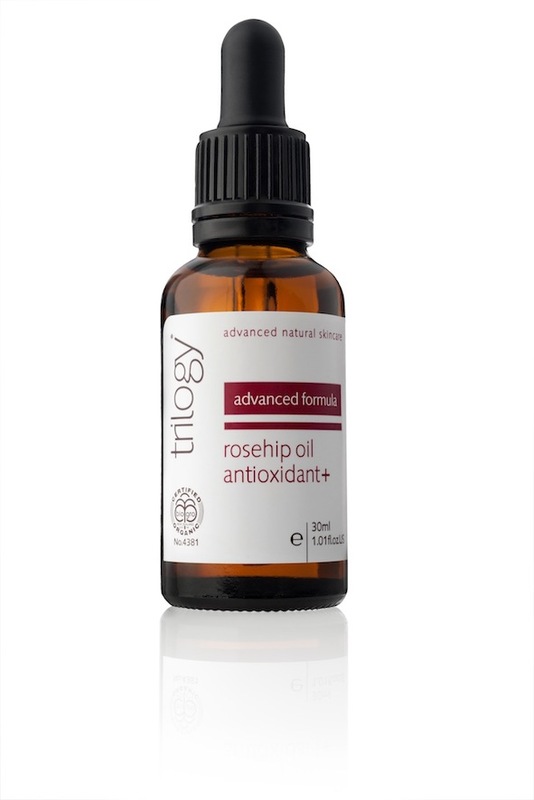 Trilogy’s new Rosehip Oil Antioxidant+ is packed with natural and organic anti-ageing nutrients and normally costs £26.50 for 30ml. Please send your answer with your name and address to readeroffer@elixirnews.com. Please note that the closing date for this competition is 31 October 2012. The winning entries will be put into a draw. Also that no cash equivalent is being offered and the Editor’s decision is final. This is a beauty oil that delivers all the benefits of repairing from pure organic rosehip oil, plus the added protection of several super antioxidants. Certified Organic and 100% natural, Rosehip Oil Antioxidant+ is a unique and advanced formulation called Rosapene. In this blend, Rosapene contains certified organic rosehip oil and red berry seed oils, giving you intensive nourishment with daily antioxidant protection. It replenishes softness and elasticity for healthier, younger looking skin. Super antioxidants Lycopene from tomatoes and phytoserol from Acai protect skin from premature ageing caused by free radical damage. Essential fatty acids from rosehip and cranberry oils nourish and help moisturise, regenerate and restore. Trilogy use certified organic seed oil from Chile, containing a minimum 80% of essential fatty acids – omega 3 and 6 – to nourish, regenerate and hydrate skin. If you would like to know more about Trilogy www.trilogyproducts.com. London: UK scientists have created a natural supplement made from tomatoes, which they claim when taken daily, prevents heart disease and strokes. The tomato pill, branded Ateronon, contains lycopene – an antioxidant that blocks “bad” (LDL) cholesterol that chokes the cardiovascular system. The new lycopene pill is made by a biotechnology spin-out company within Cambridge University, and will eventually go on sale to consumers. Although research is on-going early trials involving on150 people with heart disease indicate that Ateronon can reduce the oxidation of harmful fats in the blood to almost zero within eight weeks, a meeting of the British Cardiovascular Society will be told at Ateronon’s launch next week. Neuroscientist Peter Kirkpatrick, who will lead a further research project at Addenbrooke’s Hospital in Cambridge on behalf of Cambridge Theranostics Ltd, said the supplement could be much more effective than statin drugs that are currently used by doctors to treat high cholesterol. Lycopene is already well-known as a powerful antioxidant which is found in the skin of tomatoes which gives them their red colour. But lycopene ingested in its natural form is poorly absorbed. Ateronon contains a refined, more readily absorbed version of lycopene that was originally developed by Nestle. New York: Scientists have discovered that multiple rounds of heating left-over spaghetti bolognese with extra oil has extra health benefits. The technique alters the structure of the main antioxidant in tomotoes – lycopene so that it is more easily absorbed into the body.Previous studies have already shown that making raw tomatoes into purees or sauces increased the benefits. Heat is vital to the process, but so is the addition of some fat, which helps carry the lycopene through the gut walls. 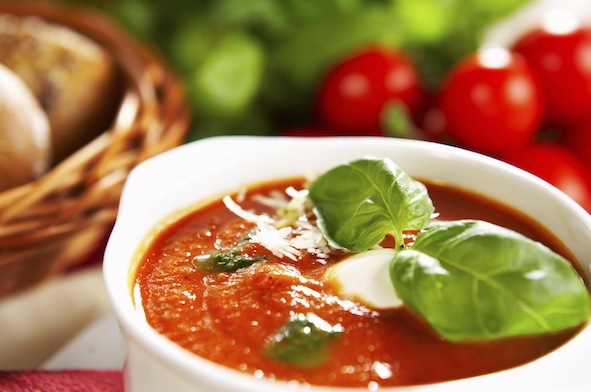 The scientists processed red tomatoes into two kinds of sauce. 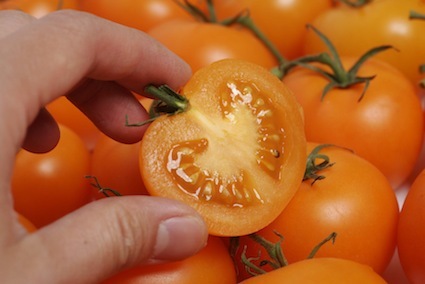 One was rich in cislycopene – the ‘bent’ variety – while the other mostly contained all-trans-lycopene, the linear form. A small study was then conducted on 12 volunteers who were given both types of sauce to eat. After each meal, blood samples-were taken and analysed over nine and a half hours. Lycopene blood levels were 55 per cent higher after consumption of the new sauce, the scientists found.